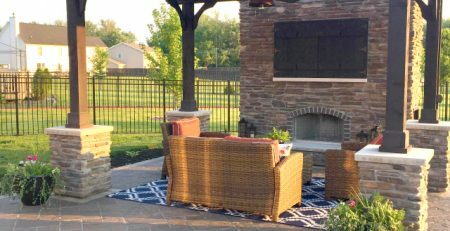 If you’re gearing up for poolside parties, maybe this is the year to look at pool shade structures to finish off your patio. 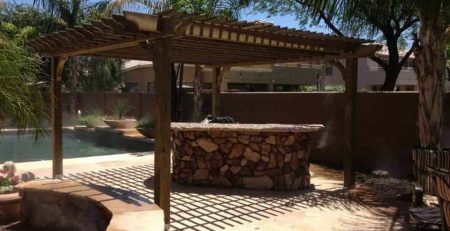 Pool shade structures can be anything from a portable umbrella over a sturdy picnic table to a cedar or pine pergola with stylish seating. 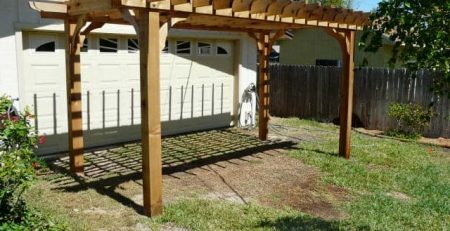 If you have an expansive area to fill, a larger 6 post pergola could provide the extra coverage you’re looking for. 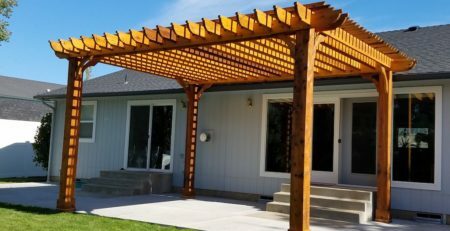 Creating more shade around your pool deck with a pergola kit can range from something simple like a 10×10 attached pine pergola to a 20×20 freestanding cedar pergola. 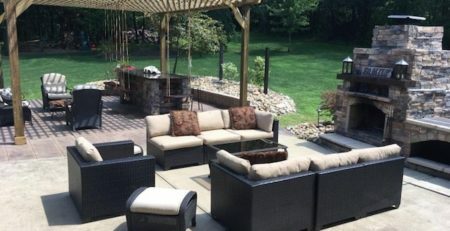 This comparison shows options for the best patio coverage to create shade for your poolside retreat. 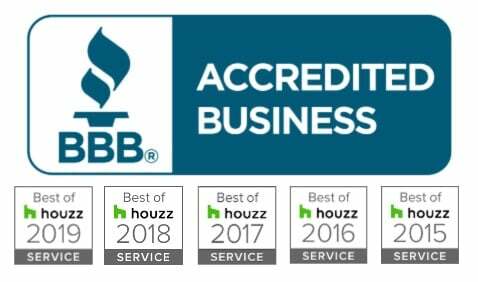 Sometimes the best pool shade structures are open enough for a little breeze to float through, and some offer more coverage. 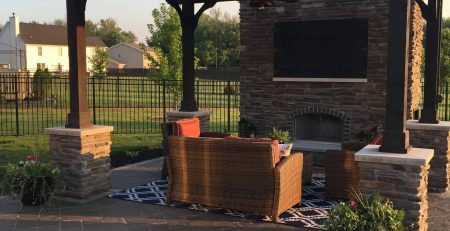 Our full size pergola kits offer 3 different coverage options: light, medium, and maximum. 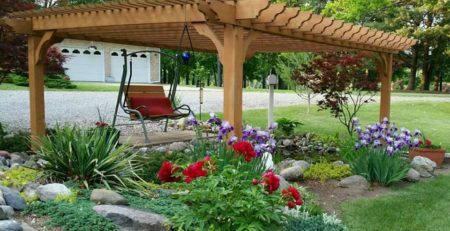 For a more open feel, choose our Fedora Pergola Kit. You can order in standard sizes 8×8 through 20×20 in freestanding or attached. 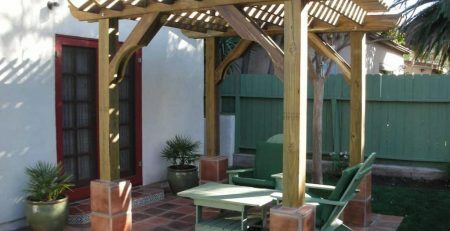 If you’d like a mid-range amount of shade cover, our Sombrero Pergola Kit would be a good choice. Also offered in over 90 sizes and custom sizes, in attached or freestanding. 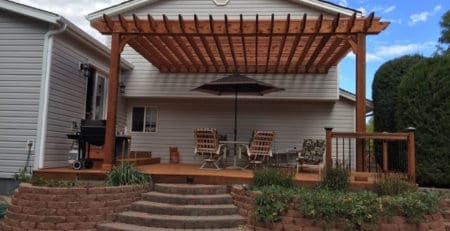 Our Big Kahuna Pergola Kit provides maximum coverage. You can choose any standard size 8×8 up to 20×20 in attached or freestanding. Custom size Big Kahuna are also available on request. Here’s an overview that provides a comparison of pergola styles.